With the summer months fast approaching, many of us are looking for a perfect blender to make a tasty smoothie, a sumptuous protein shake or a tempting cocktail. How are you to know which models are the best and which ones should be avoided? 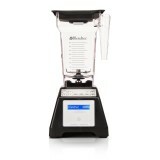 To help you in this task, our panel of experts has reviewed the Blendtec Designer Series kitchen blender. Does it stand up to the claims that are made? Let’s take a look! The primary benefit of this model is that it can hold a very large quantity of liquid; it is no less than 15 inches in height. This is ideal of you are looking to serve a large group of people. Our users found that the touch-sensitive control pad and the handy LED display made blending easy. As opposed to a typical round control knob, this blender used a slide to change speeds and timer settings. While a bit of a departure from the norm, it was just as easy to work with. We also liked the automatic shut-off system that was included. This is important if you have a house with small children. At a weight of just under 8 pounds (3.6 kilograms), it was actually quite easy to manipulate. On the positive side, this blender does it all. We found that a flat motor base allowed it to be easily cleaned while the 1,560 watts of power was able to chop, puree and liquefy even the most challenging of mixtures. Numerous speed settings provided excellent levels of control. The downside is that this blender costs well over £400 pounds. Also, it is not as suited for personal use due to its sheer dimensions. A final consideration is that it draws such a high wattage and 13 amps of power. This could prove to be a problem if your kitchen is not supplied with a 20-ampere circuit. 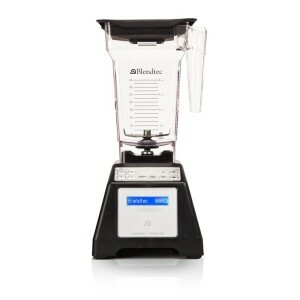 If you are looking for one of the best blenders on the market and price is not a real concern, this may be the perfect model for you.